January 2011, Profits Are Booming. Why Aren’t Jobs? July 2012, The Economy Stinks, but at Least Corporate Profits Are at 60-Year Highs! This entry was posted in Economics and tagged Dave Johnson, GDP, growth-economic on March 4, 2013 by David Bergman. On the Colbert Report Monday night – if you’re keeping count as I am, that’s two weeks in a row that Colbert’s “forced” me write a post – environmental policy expert Michael Shellenberger advocated for nuclear power as a necessary energy source. His rationale is that energy demand is going to double by 2050, efficiency and conservation notwithstanding, so we really have no choice. The new e-book he and co-author Ted Nordhaus have edited is called Love Your Monsters and in the Colbert interview, he explains we need to love our problematic children, our monsters, rather than abandoning them. As I’ve mentioned before, I hate metaphors because it seems you can always find one to make any position sound right. One of our monsters, he says, is nuclear power and we simply haven’t been good parents. Were they my children, I’d give nuclear reactors a really really long time out. 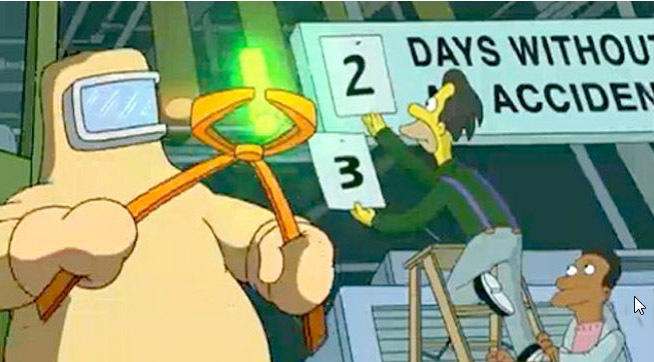 I could go on about the major issues of nuclear energy, from the fact that it isn’t economically feasible without massive government subsidies and insurance, to the not-so-small question of what to do with the leftover radioactive waste for the next few thousand years or so. But there’s a bigger point at work here. Shellenberger and other pro-nuclear environmentalists like Stewart Brand are committing the ecological sin of not thinking in systems. They’re looking at the energy issue as if it’s independent from our other environmental and social dilemmas. 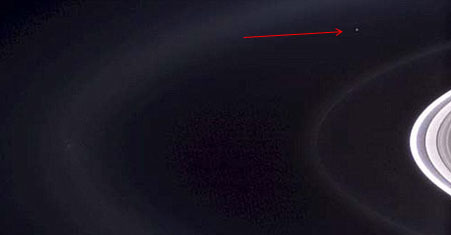 In fact, there are at least two larger pictures that they are ignoring. That doubling of energy demand prediction is predicated on an assumption of the status quo: that the population will continue to grow until we reach 10 billion of us sometime mid-century and, perhaps more significantly, that our patterns of consumption will continue along the paths we’ve been following for the last century. It’s somewhat understandable that they follow the population growth predictions. Slowing population growth, to put it mildly, is a difficult issue. (Though, as I mentioned in “Less is More, More or Less,” it’s been pointed out that annual population growth is roughly the same as the number of unwanted pregnancies.) Altering our rates of consumption, however, is a much more achievable – and desirable – goal. There’s a fundamental mathematical formula that calculates our environmental impact. It goes like this: I=PxCxT. Environmental Impact is determined by the Population, how much we Consume and the resource or Technological intensity of those things we consume. So the ways to reduce impact are by reducing population, reducing consumption and decreasing material and energy intensity. That predicting doubling of energy demand assumes we can’t do much or anything about the first two and we can perhaps eke out some mildly increased efficiencies in the last one. It also assumes, as most conventional economic theory does, that those increases in C and T are a good thing because growth is assumed to be good. Sort of a tautology. But as has been mentioned here in EcoOptimism and elsewhere, more consumption and more technology do not automatically lead to improved quality of life. In fact, once basic needs have been fulfilled, the opposite is true. 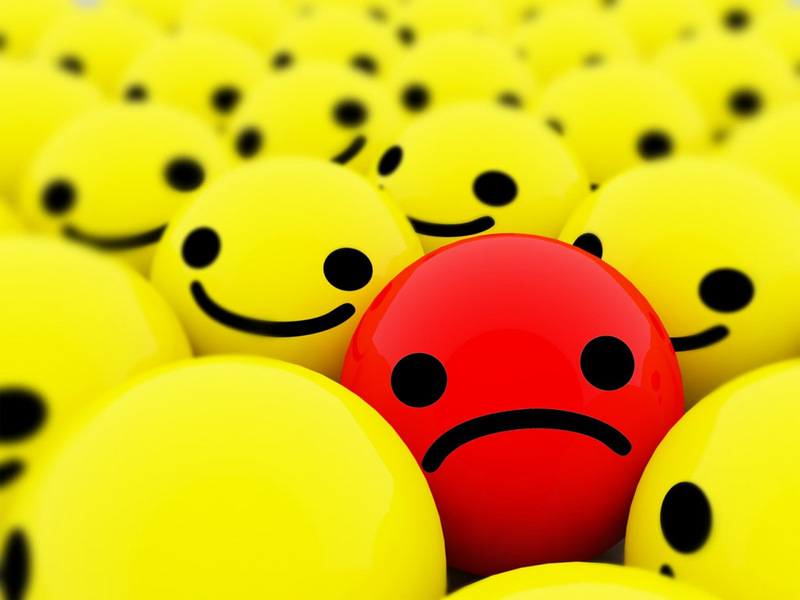 Many studies have found that people in developed countries are no happier now – and may be less happy – than they were a generation or two ago. Of course, indoor plumbing and antibiotics made life infinitely better and many of us would find it hard to live without Starbucks drip coffee makers. However, the digital revolution, for all its amazing abilities and benefits, doesn’t seem to have improved quality of life or happiness. Some would say it’s done the opposite. So that’s the first missing element in the pro-nuclear argument. The path it assumes is not actually the path we want. And the paths that would really make our lives better happen to also require less energy. The other part of the big picture that they are missing is due to a narrow concept of environmentalism that focuses almost exclusively on energy. One of the first slides I often show my classes shouts out “It’s not just about climate change.” Yes, climate change chaos has the potential to do to us what that asteroid did to the dinosaurs. At the very least, adapting to it is going to be very expensive and will in all probability involve a lot of human suffering. Superstorm Sandy brought that point home. A seemingly relentless series of other atypical storms, heat waves and droughts are making the point elsewhere. But simply solving the energy issue with low-carbon sources, whether it be through “too cheap to meter” nuclear power or a more likely blend of renewable sources, won’t make everything hunky-dory. It won’t solve resource depletion, water shortages, loss of biodiversity or numerous other ecological impacts. Moving away from fossil fuels doesn’t diminish the amounts of materials needed for all the stuff demanded by 10 billion people desiring to live as Americans do. It doesn’t reduce the staggering amounts of material we throw out daily. It doesn’t eliminate the toxic runoff from the industrial farming that barely feeds 7 billion people today. It doesn’t change either P or C or T.
Here’s the thing: we can’t approach this (nor should we) with only the goal of weaning ourselves off fossil fuel. We need to dramatically reduce the demand for energy and – happily — that can go hand in hand with some very positive changes in our patterns of consumption and in our lifestyles. And then we wouldn’t have to deal with creating more misbehaving monsters in our nuclear family. This entry was posted in Energy, Policy, Technology and tagged consumption, growth-economic, growth-population, happiness, Michael Shellenberger, Superstorm Sandy, systems on January 31, 2013 by David Bergman. Economic growth raises standards of living for rich and poor countries alike. This is the old “rising tide lifts all boats” line. I can think of plenty of unlifted (and some sinking) boats in the developed world where the tide has supposedly risen. 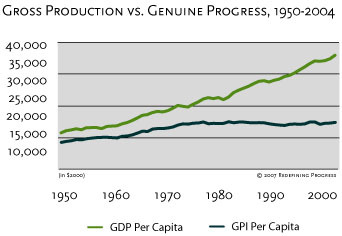 While the argument for economic growth in the developing world is stronger, it’s still true that economic growth does not equal human growth and, as we’re finding out in the US, the opposite becomes true after a point. And what happens when the rising tide (to continue the awful metaphor) is actually caused by rising sea levels? The more growth, the better. This is just fundamentally wrong because, aside from being incorrect in economic terms, it is physically impossible (unless growth is decoupled from consumption). Assuming we don’t start importing resources from other planets, we live in a finite system, technological advances notwithstanding. No matter how often the growth mantra is repeated, it cannot violate the laws of physics. In developing countries, higher G.D.P. growth results in lower infant mortality, running water, sewer systems, electricity, better schools and education for children, as can be seen from comparative World Bank data. So how does this explain the sad standing of the US in most of those categories? As electric power plants replace wood stoves, the air is cleared of smog. Sure, the localized air inside the home may be better, but replacing it with coal and other fossil-fueled plants just relocates and, by some measures, worsens air pollution and greenhouse gas emissions. Stringent Environmental Protection Agency regulations do not come cheap. This is a particularly old-school defense, or rather offense, against regulation. In far more cases, regulations prompting efficiency and limiting pollution result in greater profits, new technologies, new industries and more jobs. Her post is titled “Only Growth Can Sustain Us.” She has a curious idea of sustainability. The good news is that she represented a minority view and, judging from the comments below it, a growing number of people are realizing that economic growth is not the panacea that Wall Street and most politicians continue to believe it is. 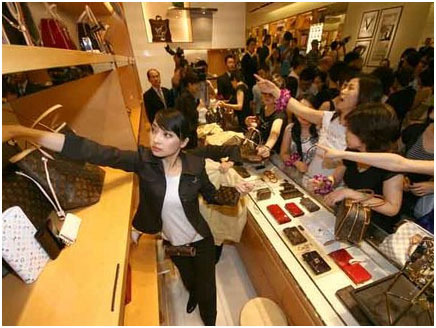 This entry was posted in Economics and tagged consumption, GDP, growth-economic on January 24, 2013 by David Bergman. Thanksgiving, the celebration of bounty, seemed a completely appropriate time to contemplate the corollary concept of enough. Hence one of my tasks for the weekend (why do I always think a day or two off, or even a long plane flight, will give me the time to catch up on everything?) was to read the advance copy of Enough Is Enough sent me by co-author Rob Dietz. A bit overoptimistic I was. I’ll blame the lingering L-tryptophan effect. But I’ve only missed the goal by a bit. Dietz is the executive director of an organization called CASSE or the Center for the Advancement of the Steady State Economy, a mouthful as large as the (first) slice of leftover pumpkin pie I had for breakfast on several of the days following the feast. “Enough Is Enough” rolls off the tongue much more easily (than CASSE, not pumpkin pie), and the strong, memorable title makes me almost wish CASSE would change its name to accompany the book. 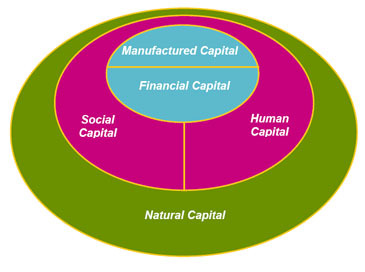 The basic tenet of the steady state economy (or SSE) is an observation that makes complete sense: you can’t have infinite growth in a finite system. Unfortunately, conventional economics – perhaps in an attempt to defy its characterization as the dismal science – says otherwise. Its faith in unending growth portrays it as both possible and desirable. EcoOptimism, though based (obviously) in optimism, doesn’t subscribe to this delusional belief in the virtues of growth. In another post, I’ll discuss how that self-serving faith is actually more akin – as faith-based ideas tend to be – to a religion than it is to a science. So much so that, in attempting to escape the “dismal science” moniker by being less dismal, conventional economics may have instead lost its reasoned science aspect. Part of the politically untouchable faith in growth derives from the positive nature of the word growth. How could growth possibly be bad or undesirable? And, even after proving that it is, finding an appealing word or phrase to convey that idea is a difficult task, yielding less than positive terms. Ungrowth? Uh uh. Degrowth? No better. Is the opposite of growth diminishment? Nothing appealing in that. Another suggested term, post-growth, gets warmer, but still doesn’t quite make the cut for me. And so we get to steady state economics. Though it ain’t exactly catchy ( as noted above) SSE at least doesn’t succumb to easy connotations of negativism and survives the first round of sound bite tests. Steadiness, especially when compared to the booms and busts of recent history, has much to be said for itself. But the goal of SSE is not so much to steady the rough ride of economic cycles as it is the creation of a path for continuing human growth within the constraints of an amazing yet finite planet. And it’s also more than (merely) achieving sustainability. It is the decoupling of economic growth from human flourishing. It is the enabling not just of a future, but of a positive future. 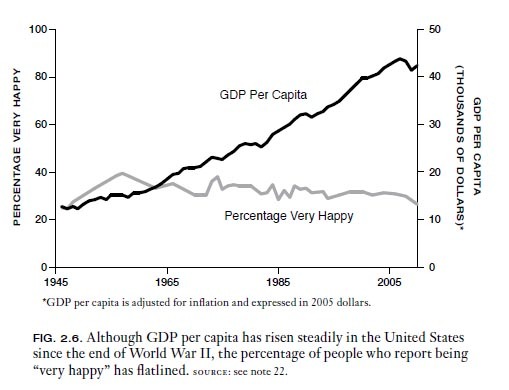 We already know that happiness (yes, I know that’s a mushy subjective quality, but there actually are ways to define and measure it) does not correlate with economic growth, at least not in the long run. In the richer nations (the “developed” world), where essential needs have largely been met, the acquisition of more material things does not lead to happier or more fulfilled lives. And acquiring things is, after all, an integral part of material growth and its measure, the appropriately named Gross Domestic Product. But even with this knowledge (which is not nearly widely enough known), how is the iconoclastic case against growth made? And accepted? There’s been a plethora of books on this topic of late. I’ve written about some of them before: Prosperity Without Growth, The End of Growth, Plenitude, eearth, et. al. But in virtually every case, what’s been missing from the iron-clad arguments has been an accompanying roadmap. We have a general idea of where we want to go, but no idea – especially not a convincing one – how to get there. Indeed, this shortcoming is a major part of the purpose behind EcoOptimism. Along with the lack of concrete steps, I’ve been positing that we need verbal descriptions and perhaps graphic illustrations (I must still be in a Thanksgiving state of mind because that made me think of the “twenty seven eight-by-ten color glossy pictures with the circles and arrows and the paragraph on the back of each one” from Arlo Guthrie’s Alice’s Restaurant — but I digress) depicting what our un/re/de/post-growth future will look like. They’ve done a terrific job on the second question. First they demolish the conventional argument that growth is the solution to poverty, poor education and unrepresentative rule as well as pollution (the argument proffered by groups like the WTO and mainstreamed by Bjorn Lomberg’s The Skeptical Environmentalist). Toss out the convenient and misleading metaphor “a rising tide lifts all boats.” Our economic history strongly declares otherwise. Making economic growth the measure and the goal does humanity a huge disservice. Growth, in the gross unqualified version that we currently reflexively strive for, is a false god asking us to sacrifice everything (our lives, our planet) in search of a future nirvana that cannot possibly be the result. The problem, putting aside such relevant constraints as physics and, yes, economics, is that we’ve set our goal on the wrong sight. “More” is not only unachievable; it is undesirable. And the opposite of more is not less; it’s enough – provided that what we achieve enough of is what we in fact need to grow qualitatively. This becomes a two-part question: first, what is “enough,” meaning what sates us and leaves us better off than we started and, second, how do we get to that state? We can continue the overly obvious Thanksgiving analogy here. For most of us, the quantity of the food leaves us with that content but overstuffed lagginess and perhaps the feeling that we overdid it. We certainly could live without it, though most of us would choose not to. Why? Because we enjoy the ritual, the company … and the food. What, more precisely, is it that makes the holiday so valued to so many? It’s not the amounts of food that we often wish we had exercised a bit more willpower to resist. It’s the circumstance, the associations and the experience (both social and sensorial), not the amount of food. In a crude way, this sums up the difference between the economy of growth and the economy of enough. Economic growth, after a point, does not translate to improved well-being. And after that point – the point at which basic life needs have been met — our economic and social goals should change course. The authors underscore the point that the number of unintentional pregnancies in the world each year (80 million) is equivalent to the annual growth of the human population. This means we don’t need to dive into heavy-handed intrusive programs like the Chinese one-child-per-family rule. We can achieve steady population through education and voluntary birth control. When I discuss ecodesign in my classes, I emphasize that there are two ways to approach changing the environmental impact of a product. One is the “tweak,” which involves one or more relatively small and incremental changes to the design. The other is the “innovation,” which demands rethinking the problem (often by rephrasing the question) to find alternative ways of achieving the result the product provides. Often this leads to what has come to be called disruptive technology, a fancy phrase for a new way to do something that reduces the old to history. Think Internet versus encyclopedias. Or 3D printing replacing mass production. I found myself categorizing the suggestions within Enough Is Enough the same way. Many of their proposals required minor alterations to our current ways of doing things. Others, though, are more like the “square one” approach. 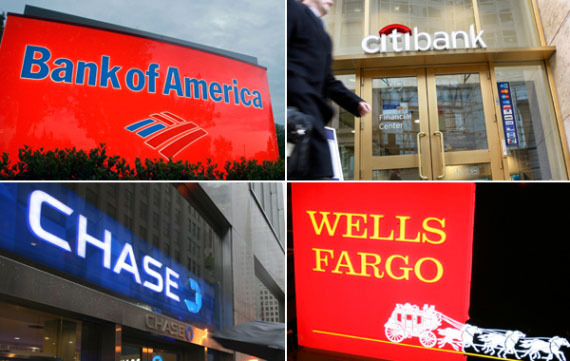 For instance, in the chapter “Enough Debt,” they propose some fundamental changes to how the financial world operates, ranging from the technical (requiring reserves on loans to be 100%) to the structural (decreasing the size and power of financial institution below the “too big to fail” level and – here comes the part that will elicit protests of socialism – democratizing the means of production). Enough Is Enough does an admirable job of making the off-putting topic of SSE much more approachable and enticing, but (ironically) leaves me still wanting more. The authors fully understand that “for people to embrace the concept of a steady-state economy, they need to understand how it would work and why it would be preferable to what they’ve become accustomed to.” They’ve brought us much closer to this point, but I came away still wanting to know what it will feel like and look like and how we will experience it. This shortcoming – and I’m nitpicking through an exceptional book – strengthens the underlying need for what I see as a primary mission of the EcoOptimism blog: providing that visceral taste of a positive future. Enough Is Enough lays the policy groundwork. Now we need to make it concrete and present it in a form people can relate to in order to convince an understandably skeptical populace. This requires the merging of policy wonk-dom with the visioning and communicating designers can provide (with perhaps some added oomph from the PR and advertising worlds). 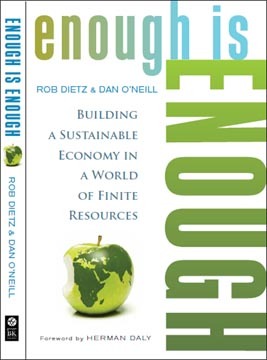 Dietz and O’Neill write “An enlightened transformation to a steady-state economy is a profoundly hopeful prospect.” Not one of doom and gloom or involving sacrificing the “American way of life.” The overriding need is to develop and successfully present this thoroughly desirable future so that we will pursue it, not because we have to but because we want to. Enough Is Enough is a major step on that path. This entry was posted in Economics, Policy and tagged consumption, GDP, growth-economic, growth-population, happiness, Rob Dietz, steady-state economics on December 2, 2012 by David Bergman.